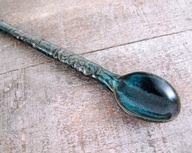 We all know what a scoop looks like. 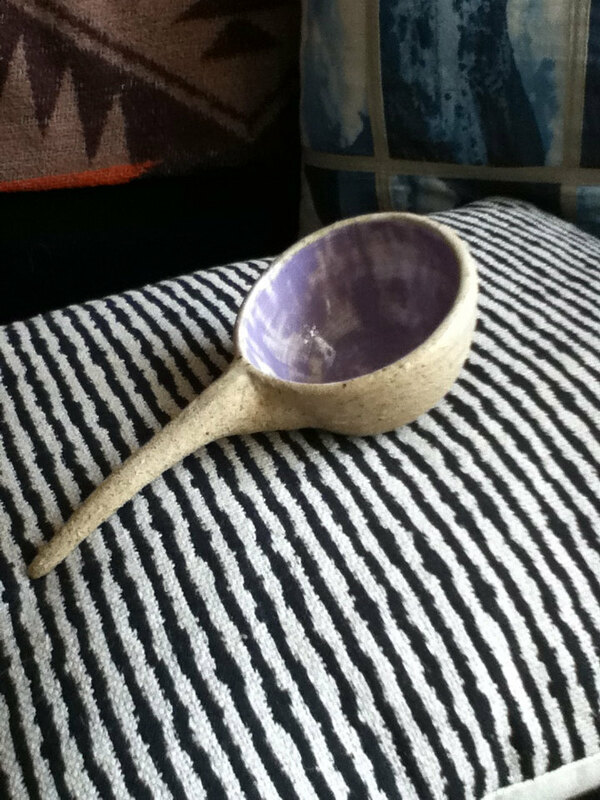 But a Clay scoop has soul. 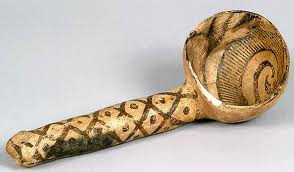 Note: The third of this grouping may have been made from a gourd or carved from wood, but it doesn't matter. The form and decoration is why it was included. 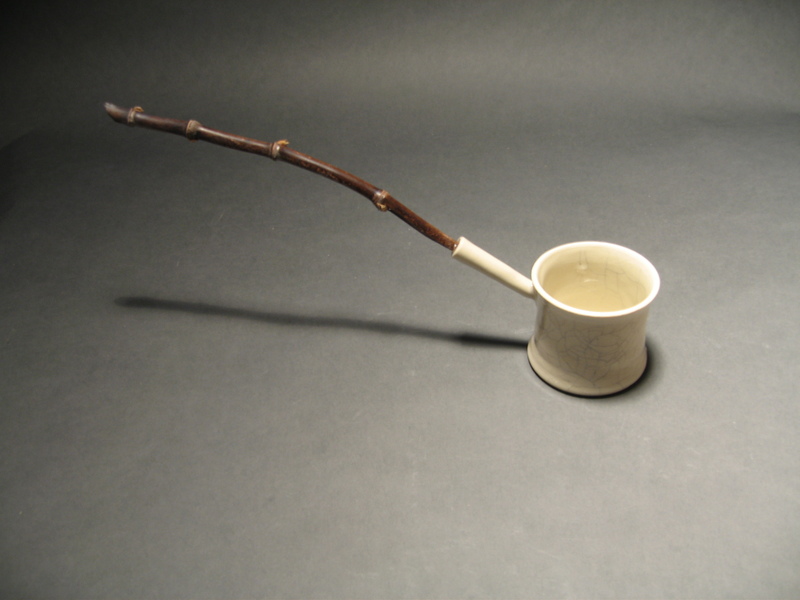 The difference between a dipper and a ladle or a scoop is hardly discernible and the shape is almost identical. 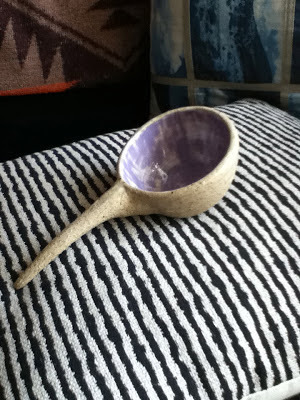 Perhaps, a ladle has a bit more tilt to the bowl. Doesn't the one on the great striped fabric look like you could just pick it up and use it right away? 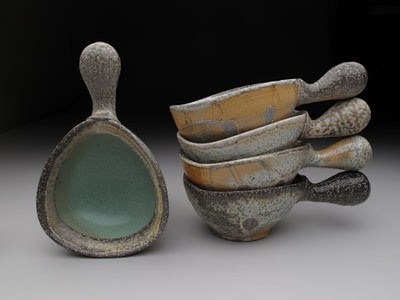 This nest of dippers or scoops could even be soup bowls, depending on their size. The thongs through the handle holes is a good idea. There would all look great hanging up on a bar in the kitchen. Just use the top bars or string your own wire between two horizontal stacks of kiln posts to whatever height needed. Or, if the dipper is larger, fire it on a stilt. 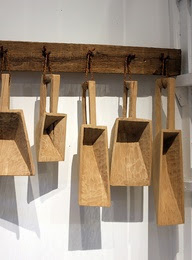 These scoops look great hanging up. 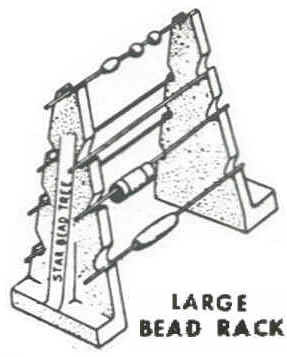 The same could be made of clay using a slab roller. Here's some dippers of my own. The bamboo handled one is meant to be used, but the ones with the African porcupine spines would be a bit more tricky to use. 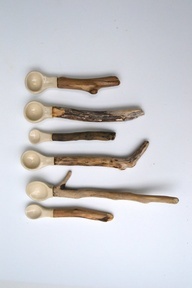 I love these driftwood handles. 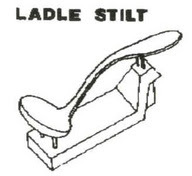 Another approach is to emphasize the handle by either carving or stamping it. Using an embossed piece could work as in these metal backs. Adding ornamentation to the handles either by carving, molding or stamping can be another approach to decoration. Repeating an original design with a mold can assure perfect repetition. 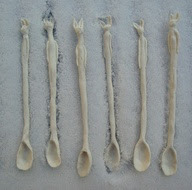 Me, I hate repetition, so I would probably make all the handles similarly. 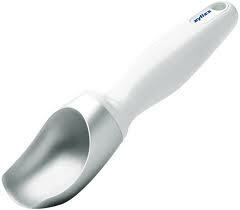 Whether this particular handle would sit comfortably in your hand is another consideration. These silver pieces could be copied by hand or made into a mold to emboss the backs or front handles. This is a novel design. 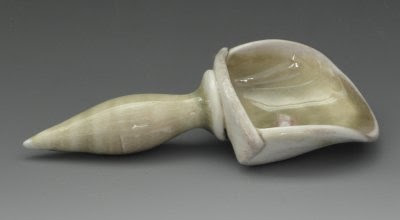 The handle is hollow and used to store salt. 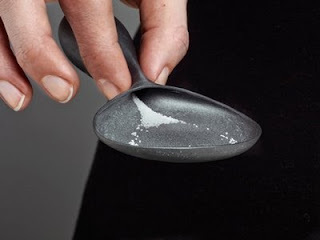 Maybe a special holder would keep the spoon upright and the salt in the handle. 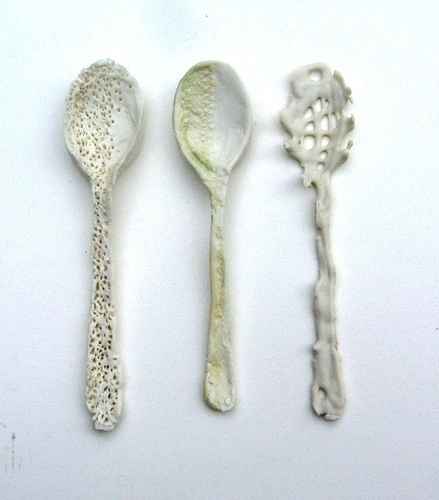 Sculpting the handles of these hand formed spoons results in them moving out of the utilitarian range into an art form that borrows on the idea of a spoon. 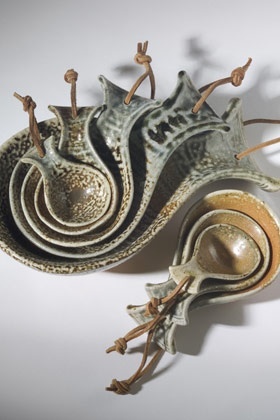 Retaining the spirit of spoons, but now moving into sculpture, the spoons become a piece of art, as in these rabbit spoons. Also, grouping them and presenting them collectively as a unit instead of individual pieces changes them into one statement.